The Nigerian government has suspended a corporate governance code issued by the country’s Financial Reporting Council of Nigeria, FRC. The Minister for Industry, Trade and Investment, Okechuckwu Enelamah, made the disclosure in a statement on Monday, this came after reports of the sack of the Executive Secretary of FRC, Jim Obazee. Mr. Obazee’s sack followed exit of Enoch Adeboye as the Nigerian overseer of Redeemed Christian Church of God in compliance with the suspended FRC governance code for not-for-profit organisations, including civil society and religious organisations. 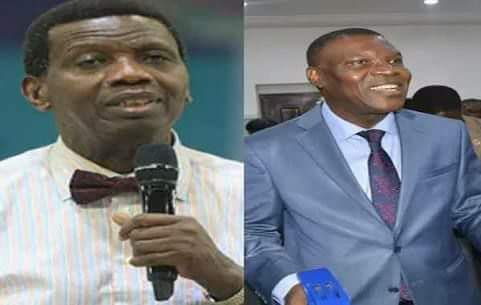 Mr. Adeboye, arguably Nigeria’s most influential Christian cleric, had on Saturday complained about the government’s interest in Church activities. The governance code sought to provide financial reporting, transparency and accountability standards for not-for-profit organizations. Among others, it provided that founders or leaders of not-for-profit organizations would not head governance of their organisations for more than 20 years, and could not also pass baton to their family members. While the code received positive reactions by people who consider it necessary to ensure accountability, it also suffered knocks by those expressing concerns it was targeting faith organisations, especially the Church. In his statement, the minister said the code stood suspended pending its review and consultation with stakeholders. Mr. Enelamah reassured of Nigeria’s commitment to enhancing market and ease of doing business in the country.